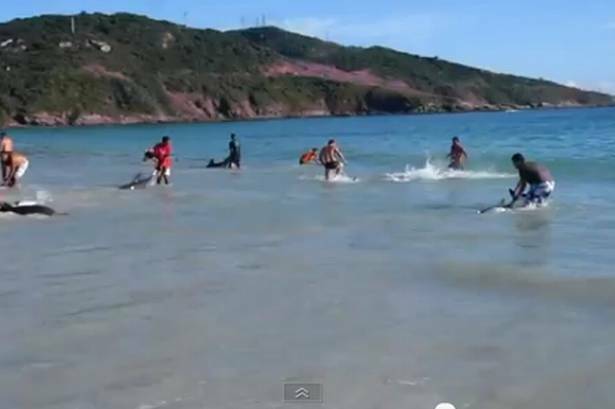 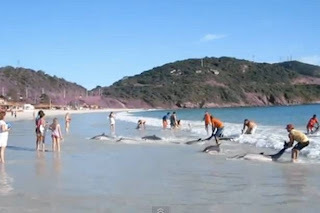 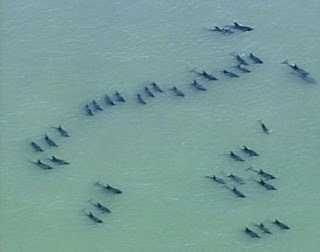 At 8:00 am on March 5th, 30 dolphins became stranded on a beach in Arraial do Cabo, Brazil. Local beach-goers witnessed the "dolphin invasion," and quickly took action. 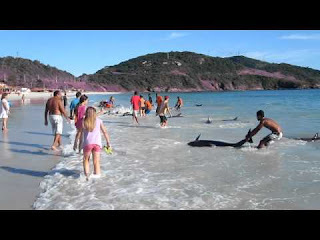 "The pod gets too close to the beach and is pushed into the shallow water by the waves. 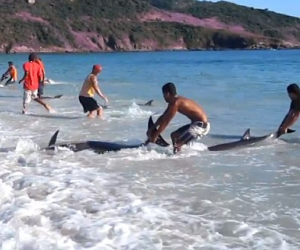 The dolphins, trapped in the surf, show their distress by thrashing their flippers." 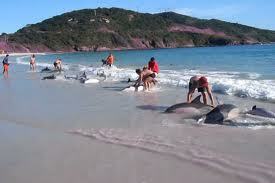 The good Samaritans saved every last dolphin, pulling the slippery mammals by their tails to deeper water.